“The Cookie Jar DC, DC’s first and only edible cookie dough confectionery, is opening its second pop-up shop in the Shaw neighborhood of DC, beginning Monday, April 2. The shop will sell over 10 signature and seasonal flavors of safe-to-eat, eggless cookie dough. 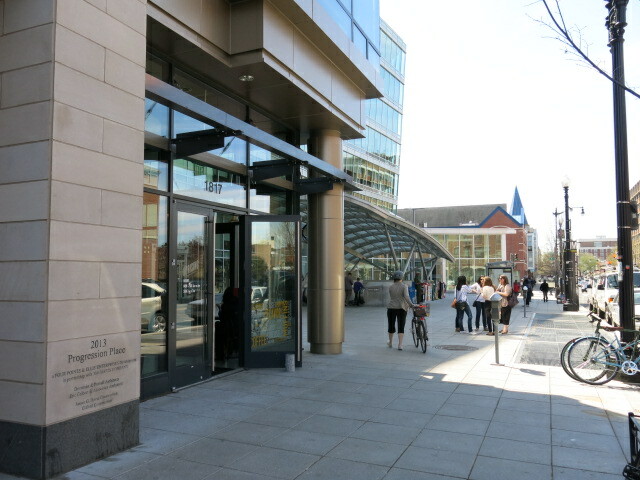 It will be open daily starting at 3:30 p.m. in the Uprising Muffin Company space at 1817 7th St NW, after the muffin shop closes each afternoon. “We’re fulfilling your childhood dream of sneaking cookie dough from the mixing bowl. Our dough is made with heat-treated flour and no eggs, so it’s totally safe to eat raw. We can’t wait to open our doors to dough lovers in another one of DC’s hottest neighborhoods,” said Lindsay Goldin, The Cookie Jar DC’s Founder/CEO. The Cookie Jar DC’s first pop up, located in Adams Morgan, inside Rise Bakery, will continue to be open every evening at 7:00 p.m. “Now, our customers will be able to get their dough fix in two locations. While the AdMo Pop Up is a popular grab-and-go spot for after-dinner and late-night crowds, we’re excited that the Shaw shop will offer daytime hours and ample seating,” said Lindsay. The dough will be available in jars to order a la carte, or customers can create “mix & match” packs of their favorite flavors. By popular demand, this location will also serve cookie dough scoops and coffee.